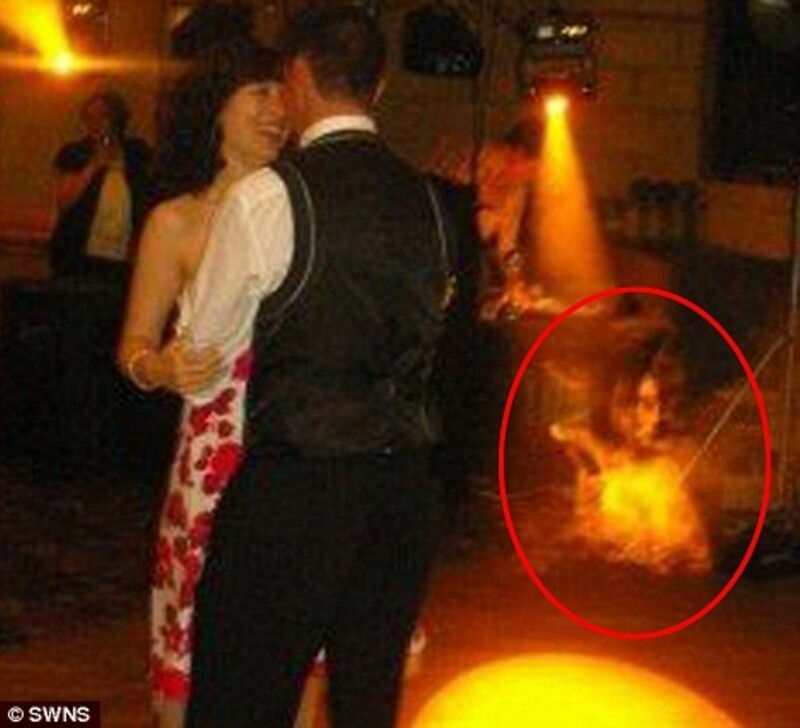 A schoolboy photographer is baffled after spotting a ghostly apparition hovering in the disco lights in a picture he had snapped of a newlywed couple. 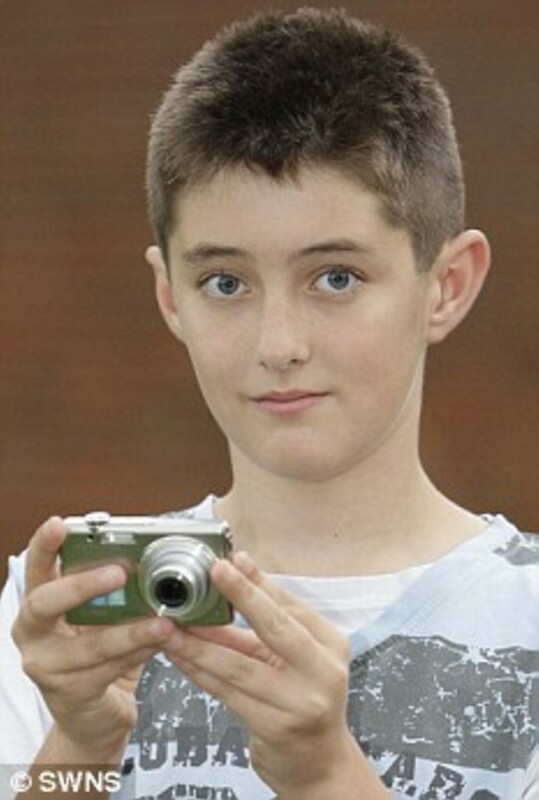 Wedding guest Jordan Martin, 12, took a whole series of photographs at the wedding reception and at first thought they were quite unextraordinary. But after examining them again he was flabbergasted to spot the haunting image of a woman's head and torso floating inches from the ground near the DJ booth. Below is the original case image; please click to enlarge. Jordan said: 'I didn't see the ghost until a couple of days later when I was looking at the pictures on the computer. The picture was taken as newlyweds Nigel and Helen Davis took to the floor for the first dance after their wedding at Gloucester Register Office on May 31. Jordan was snapping away from the side of the dance floor when he unknowingly captured the image. His mother Ann, of Northway, Glos, insists she does not believe in ghosts but admits she cannot unravel the mystery of the ghostly intruder. She said: 'It was a shock when I saw the picture. It looks pretty clear to me and it looks so real. Jordan is quite excited about it.